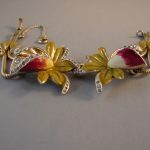 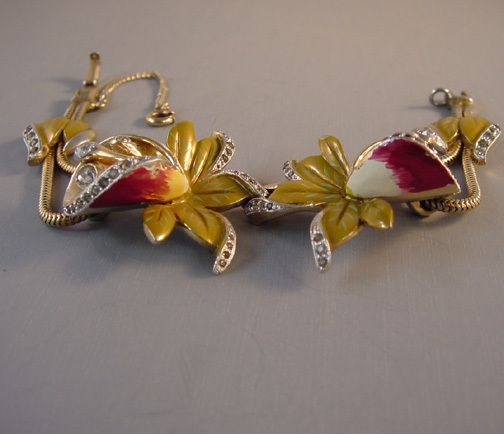 DEROSA floral and leaves bracelet and earrings with plum, cream and green enamel on gold tone, with safety chain on the bracelet. 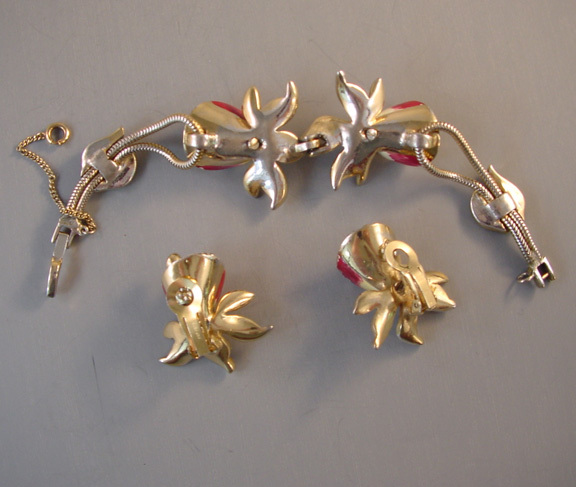 The bracelet is fine but one earring is "as is" (wearable but with repairs on the enameling) so the earrings are included free of charge. 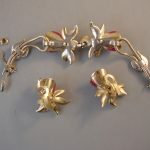 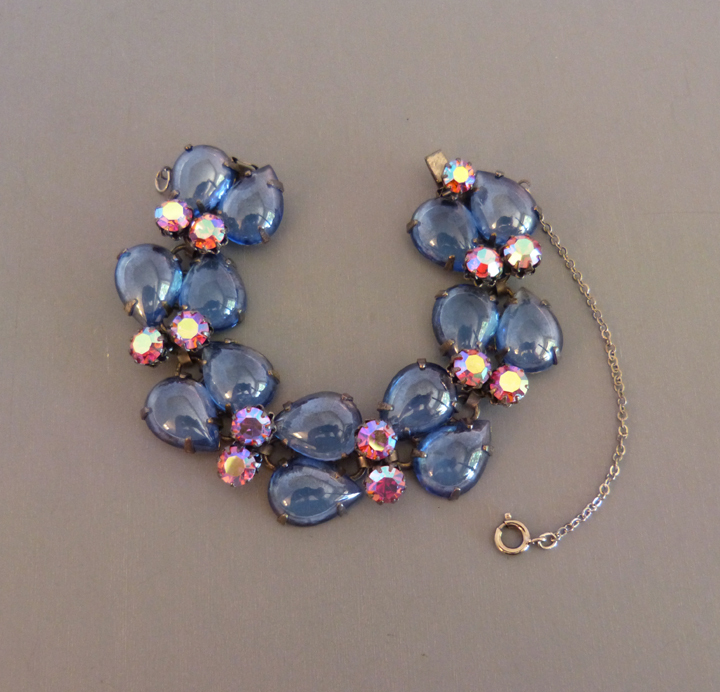 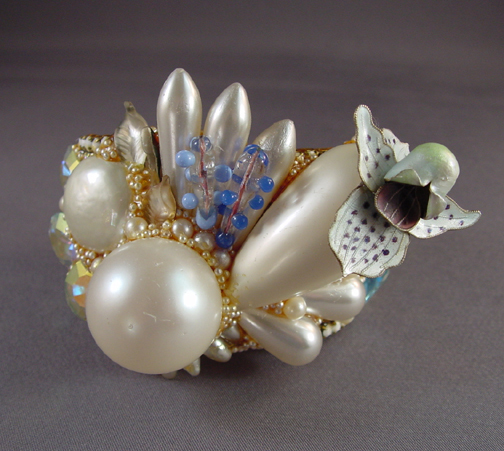 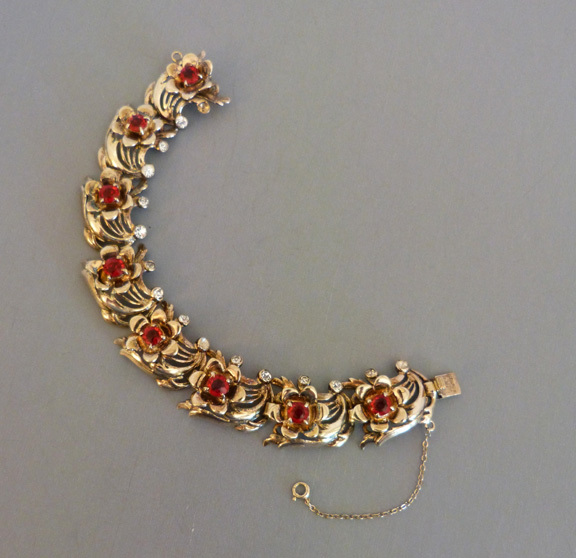 The bracelet is 6-5/8" by about 1-1/3", clip back earrings 1-1/3". 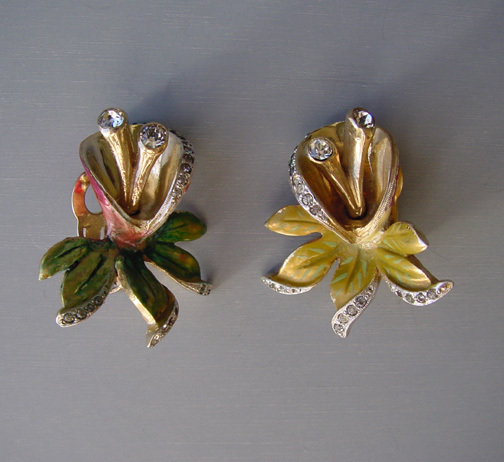 DeRosa jewelry looks like no other maker. 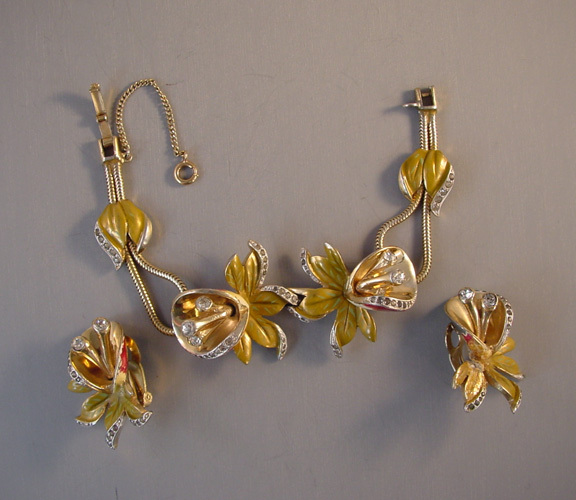 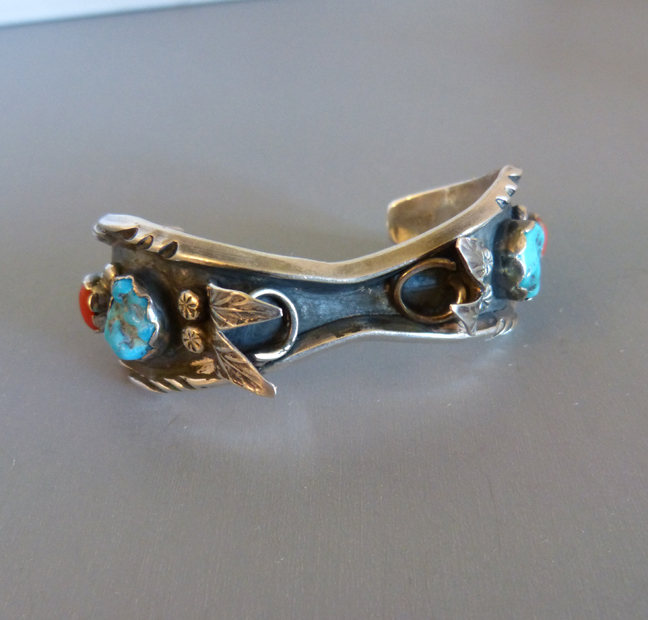 DeRosa jewelry was made it from about 1934-1970.